In the dying moments of 1914 and the opening days of 1915, remarkable stories began to circulate in Britain’s newspapers. 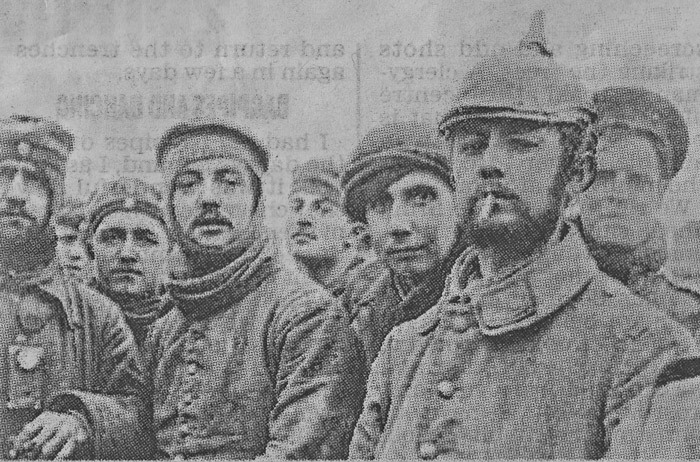 The stories came from France and Belgium, where great armies were locked in mighty conflict, and told of a truce between British and German soldiers. At this time of peace and goodwill, it was said that the guns had fallen silent on Christmas Eve, lights had appeared on the parapets of German trenches and the haunting melody of Stille Nacht, heilige Nacht drifted out over the frost-covered corpses and detritus of no-man’s land. There were cries of “Happy Christmas, Tommy! We won’t shoot if you don’t”. 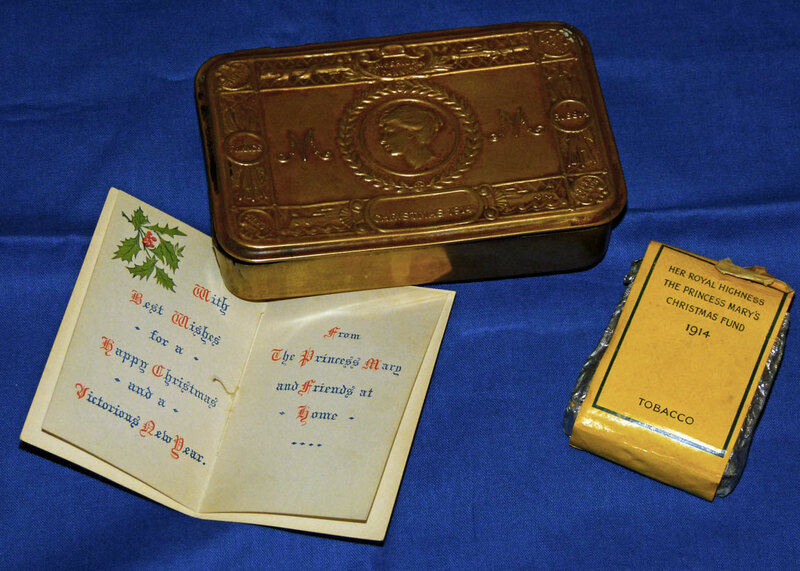 Men fraternised, traded plum puddings for cigars, swapped souvenirs, exchanged memories of home, buried their dead and even had a game of football. 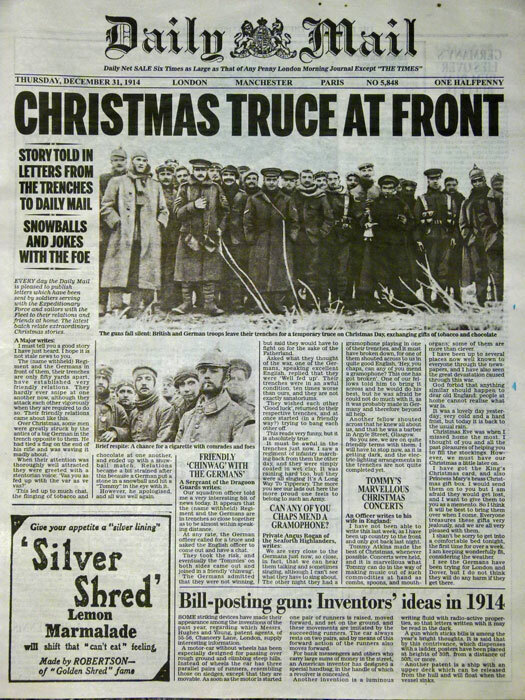 The story of the Christmas Truce of 1914 is a magical, wonderful, picture, with an almost mystical quality about it. The idea that ordinary men, in the midst of a terrible war, would simply forget fighting and instead seek friendship surely offers hope for the future; but what really happened? In early December, Pope Benedict XV had proposed a 12-hour truce on Christmas Day. There were indications that the Germans would entertain the idea, but the Allied Governments were not keen to humour those they viewed as invaders and the suggestion came to nothing. In fact, the British launched attacks on sectors of the German lines on 14th, 18th and 19th December; all of them failed, with heavy casualties. Similarly, accounts of the Christmas truce vary. 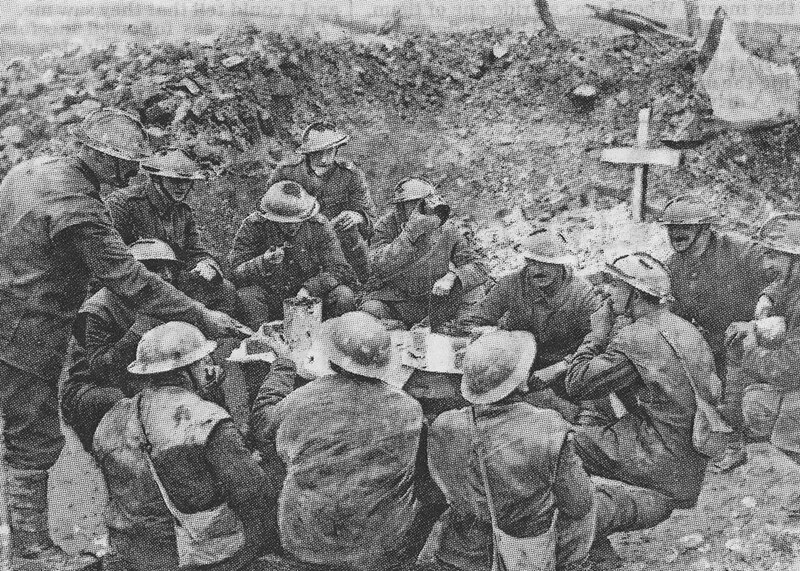 According to one historian, Martin Gilbert, fraternisation took place almost everywhere along the British lines, at places in the French and Belgian lines, and it was almost always initiated by the Germans. Reports also suggest that Indian troops, fighting for the British, took part – though it seems unlikely that they would have been celebrating Christmas. The weather in December 1914, up to Christmas Eve, had been wet; after that, the temperature plummeted. One account suggests that cooperation occurred for very practical reasons between the Argyll and Sutherland Highlanders on the one hand, and the 134th Saxon Regiment on the other, when a nearby river flooded, forcing both sides out of their trenches. Many accounts tell variations of the tale summarised in the opening paragraph, above. 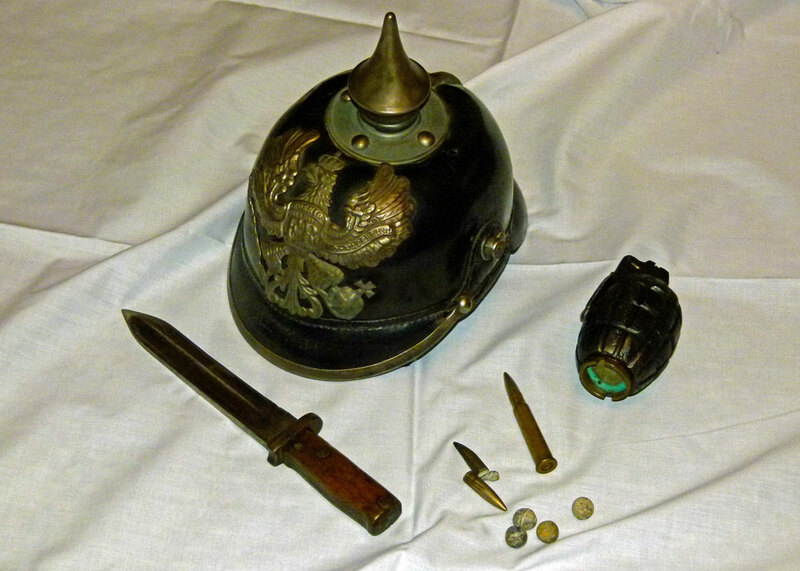 There are suggestions that Germans from Saxony and Bavaria were more likely to initiate contact than the more militaristic Prussians, that British officers ordered their men not to fraternise and then turned their backs. Many Germans had worked in Britain before the war and could speak perfect English. One asked Lieutenant John Wedderburn-Maxwell of the Royal Field Artillery to post a letter to his girlfriend in Manchester – which the British officer duly did. There are various reports of ad hoc football matches taking place. The opportunity to bury the dead, lying in no-man’s land after recent attacks, was taken and defences were repaired. In places, it is said the guns fell silent whilst 1914 slipped away. In others, fighting went on: military historian Chris Baker says that 98 British troops died on 24th December, many the victims of sniper fire, and 81 were killed on Christmas Day itself. The Commonwealth War Graves Commission website reveals that 364 UK service personnel died in all sectors, including at home and on the sea, in those two days. Whatever the truth of the Christmas Truce of 1914, what seems to have happened was not one, but several outbreaks of spontaneous humanity. It was undeniably the stuff of legend. However, to suggest, as some naïve pacifists have, that the Christmas Truce was a missed opportunity, if only everyone had mutinied and refused to pick up their rifles, is to be detached from reality. The troops were not organised and, in any event, were not of a mind to mutiny. Commanders on both sides ensured that any fraternisation ceased and that nothing quite like it ever happened again. There was no realistic prospect of peace for the New Year. The fighting continued for almost another 3 years, with hideous losses, until the very bitter end. A hundred years on, the Christmas Truce was cynically exploited by Sainsbury’s Supermarket (in partnership with the Royal British Legion) in the form of a Christmas TV advert – albeit it is a beautifully produced one as you might see. The Football Association in partnership with the British Council produced a pack aimed at young schoolchildren, exaggerating the football angle of the story. More memorably, Britain commenced its commemoration of the centenary of the First World War as a whole with its now world-famous poppy installation at the Tower of London. ‘Bloodswept lands and seas of red’, by artist Paul Cummins and designer Tom Piper, consisted of 888,426 ceramic poppies, each one representing a British or Commonwealth life lost. Each poppy of course also represented a family mourning the individual: parents, siblings, wives, lovers – children. It was an astonishingly effective way of driving home the numbers – part of the roughly 16 million people that perished worldwide – far more vividly than statistics on a page ever can. 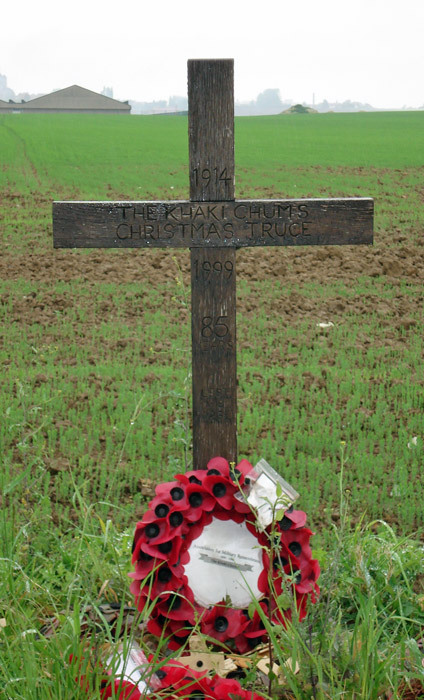 The Christmas Truce was a real event – or several real events – although we’ll never know the full details and extent of it. A repeat of the Christmas Truce is unlikely, and for one very positive reason – the prospect of war between the old foes, and all states that share a common cultural heritage, is now so improbable as to be unthinkable. When bemoaning the current state of humanity, surely we can congratulate ourselves on this, one of the great achievements of the last one hundred years? Of course, and unfortunately, war is not over. Another reason why a re-run of the spontaneous seasonal goodwill is doubtful is that Britain’s enemies do not believe in Christmas. They certainly do not believe in peace and goodwill to all men, irrespective of race, religion or creed. So, whilst acknowledging the imperfections in our own society, here’s a New Year’s resolution for civilised people of all cultures: defeat and educate those who may be described, at best, as ‘culturally retarded’ when it comes to humanity. It’s a significant task for the next century. It’s interesting to know that the ‘truce’ happened in multiple places and not at all in others – I’d always had the vague impression that there was only one isolated incident. I remember showing the Sainsburys ad to my students last year when we did WW1, an interesting exercise as to whether they found it moving, or a cynical marketing technique. I leant towards the former myself. I’m a sucker for sappy stories at Christmas. Happy New Year. A poignant reminder of the futility of war. Why do we never learn. 2017 is not looking like a year that will bring international peace. I wonder how will historians look back on this time in 100 years. A beautiful and thought-provoking post, Mike. If only we could be selfless enough to educate others, by example, to forgiveness, love, mercy, and grace. May you and Mrs. B. have a wonderful new year. I just don’t understand war! In the past we understood our foes which lead to the possibility of of a gentlemanly truce over the Christmas period. we also understood the aggressors in Northern Ireland. The current aggressors that wish to change our culture have no value for human life (including themselves). This type of human sentiment is more difficult to deal with. Interesting post Mike. I noticed myself during the Falklands War how much the British news changed and how little real on the ground coverage took place, despite other conflicts in other places around the world always seeming to get UK reporters into the thick of the action. Propaganda took over from actual front line news to a large extent and it was only years later it was revealed how close a battle it actually was- mainly thanks to UK arms manufacturers supplying the very latest hi tech weapons and war machinery to Argentina to target our planes, troops and ships. I’m sure any earlier wars were equally complicated to unravel what actually took place on the ground. Hopefully WWIII is some way off yet as past human history makes it almost inevitable it will happen at some point. . Such a poignant and well written post Mike. Thank-you for the final paragraph too. So many people are too afraid to say this though it is true. I’ve wondered if the truce was just a lovely story or if it really happened, so I was very interested to read this. I remember seeing the Sainsbury’s ad when it first came out. War will never end entirely, it seems to be part of the human condition, sadly. What will 2017 bring? Let’s hope for peace and understanding. Thanks for all your well written articles describing my homeland. I live far away now, but I love to remember my happy days there! Now let’s have a bit about North Devon!!!! I look forward to many more wonderfully written and interesting articles on your site in the new year. Those opening paragraphs brought tears to my eyes to think of the men, no matter their nationality, coming together for that short time. I know there are varying accounts of the events …..well written. I hope you had a lovely Christmas and will enjoy your New Years celebrations. “those who may be described, at best, as ‘culturally retarded’ when it comes to humanity.” Sadly there are several of those gaining power across the world these days – East and West. I dread the coming year. I really do. With all good intentions of integrating people from other countries, languages, cultures and religions, my country has sadly failed, as the Berlin attack so painfully drove (!) home. But I still refuse to give up the hope in humanity as a whole; there are so many good people out there, that at some stage I hope the scales will tip towards the better. Happy New Year to you and Mrs. Britain! I am looking forward to read many more interesting and entertaining posts on your blog. A great, beautifully written, and thoughtful post Mike – a message of encouragement to take us all into 2017 with its many unknowns – Happy New Year to you and yours. Brilliantly written. Your last paragraph in particular holds a strong message. Happy New Year to you. A very thoughtful and poignant post Mike. I would like to think we can achieve your New Year’s resolution, but it is indeed a significant task. Best wishes for a happy and healthy New Year. Beautifully written – the porcelain poppy installation is so amazing. My father served in WWI, but thankfully at the end and without the horrors so many knew. I truly enjoy all you write – Happy New Year! It is a fascinating, compelling story… a measure of humanity among madness. The poppy installation still strikes me after this time- it was a poignant remembrance.